Quentin Cornet was born in Seraing, Belgium, in 1991. As a child, many of his surrounding relatives were musicians who listened to classic and hard rock acts like AC/DC, Deep Purple, and Led Zeppelin. This environment led to a few self-taught lessons on an old classical guitar, and later, to joining a rock academy at the age of 11. During his journey of learning, Quentin encountered many genres: blues, pop, punk, hard rock, and metal. He honed his playing skills with several musical acts, and even released a few records. These opportunities eventually led to showcasing his talents on dozens of stages across Belgium and Europe. Over time, he found that the metal genre best reflected his true identity, and became the prime focus for his compositions. 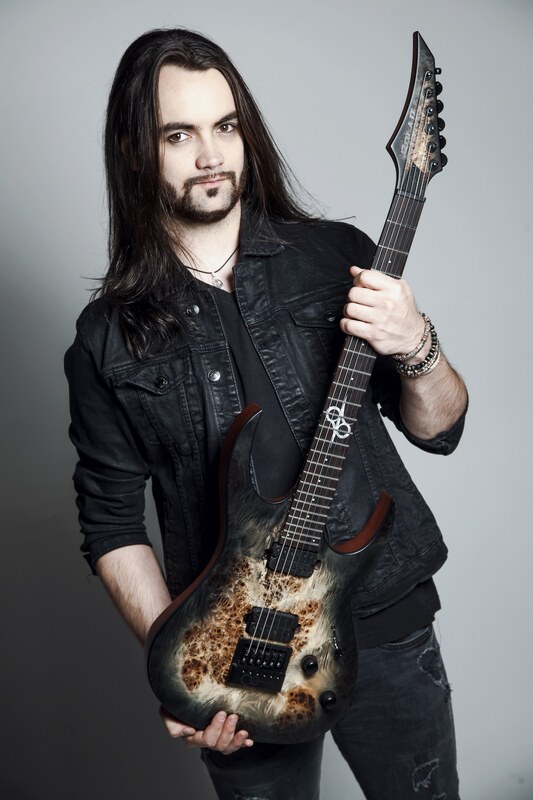 He counts legendary guitarists like John Petrucci and Michael Amott as his main inspirations. In 2011, Quentin graduated with honours as a sound engineer, then in 2013, received a Bachelor of Arts degree in Audio Production at SAE Institute Brussels and Middlesex University, London. From that moment on, a career as a musician and producer was assured. Since 2015, he has produced and collaborated with Minniva, a talented Norwegian singer known on YouTube for her wide variety of heavy metal cover tunes. Together, they have released over 150 videos, and had the opportunity to work with artists like Tommy Johannson (Sabaton), Alexander Rybak, PelleK, Garrett Peters, Rob Lundgren, and many others. Since 2011, Quentin has continued to self-refine his musical skills, and now passes his learnings on to others as a guitar instructor. I have finally found ultimate confort and tone thanks to my Solars. They are real chug machines and they feel like an extension of my fingers.